DP Technology announced the premiere of the ESPRIT Additive Suite — a comprehensive 3D printing solution that delivers high levels of efficiency and accuracy, while simplifying the time-consuming additive manufacturing process into a few easy steps. The ESPRIT Additive Suite delivers machine-optimized job files and complete control of the additive manufacturing process for both direct metal deposition machines and 3D powder bed fusion systems. The software was introduced at EMO Hannover and is expected for general end-user availability in mid-2018. 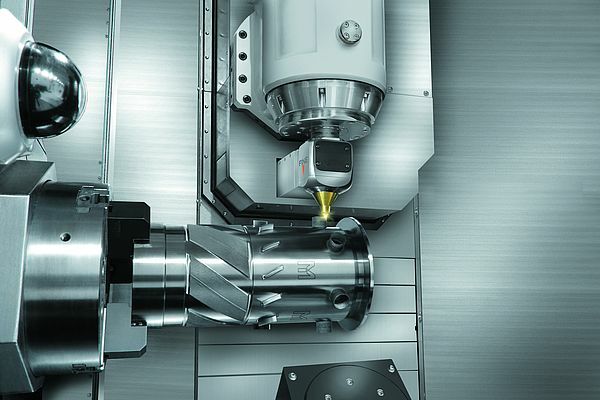 For hybrid machine tools — CNC machines with additive capabilities — the ESPRIT Additive app for direct metal deposition offers integrated programming and simulation for multi-tasking, multi-function, multi-channel additive and subtractive machine tools, all integrated within the ESPRIT CAM system. Features of the ESPRIT Additive Suite for direct metal deposition tools include: Specialized trajectories for additive processes and full-spectrum toolpaths for subtractive processes. Simulation and verification for both additive and subtractive processes. Universal post processing for any CNC machine tool. The ESPRIT Additive app for 3D powder bed fusion systems is a versatile printer driver that supports the full process of additive manufacturing, from orienting the part and creating supports, to optimizing the build, slicing and nesting, to generating a job file. Features of the ESPRIT Additive app for 3D powder bed fusion systems include a new Part-to-Build workflow. To manufacture a part, a 3D CAD file is combined with manufacturing information and converted into a job file containing all the information necessary to build a part on a specific machine. The ESPRIT Part-to-Build workflow — essentially a portable, reusable print driver — allows an intermediary Part-to-Build file to be created and reused in other job files without redefining the manufacturing information. This creates traceability, saves time and improves consistency. An additive process control app allows seamless information sharing among multiple users within a company. The app stores information including original 3D CAD files, Part-to-Build files and job files, as well as post-build information, such as user comments, build results and machine log files. Both the ESPRIT Additive Suite apps for direct metal deposition machines and 3D powder bed systems feature the ability to work directly with native 3D CAD files. And, like ESPRIT CAM systems, the Additive Suite is backed by full-time support from ESPRIT-certified application engineers.